I wouldn't exactly call 2014 the "Year of Shocks" in terms of results. In most of the pageants I followed, the winner was always there amongst the favorite. In terms of national pageants, I'd say that the favorites did well. Rolene Strauss won Miss South Africa, Nia Sanchez won Miss USA, both winners in the Philippines were favorites, and other countries like France, India, Colombia and Mexico all crowned girls who were marked as front-runners. I predicted the winners of Miss World, Miss Universe, and Miss Earth. The only one of the big four pageants that produced a shock winner, or at least a few raised eyebrows, was Miss International. The year's biggest shocks came from the inability of most of the pageant organizations to get their acts together. Miss Earth is still in the Philippines and is still trying to get rid of the corruption stigma after the Russian scandal a few years ago? Did a home victory help? Miss World was supposed to be the best festival ever in three countries, but turned into a low key event. There were very few events leading to the finale, but at least they were all classy, and it was evident that the organizers are trying to create some energy on stage at the finale. Miss International is apparently under new ownership, but the pageant is still a looong snoozefest. For the most part of 2014, we all wanted the real Miss Supranational to stand up... and eventually it did. The best effort from an organization came from Miss Grand International - it really is a pageant to watch. Their results left a bitter taste in my mouth though. And the worst effort: from Donald Trump's Miss Universe Organization. In an unprecedented move they failed to put on a show in 2014, moved it to 2015, and called it by it's anniversary while claiming it is actually still the 2014 edition. But will there be another one this year? Nothing is certain anymore with Miss Universe - their credibility has pretty much gone down the drain. 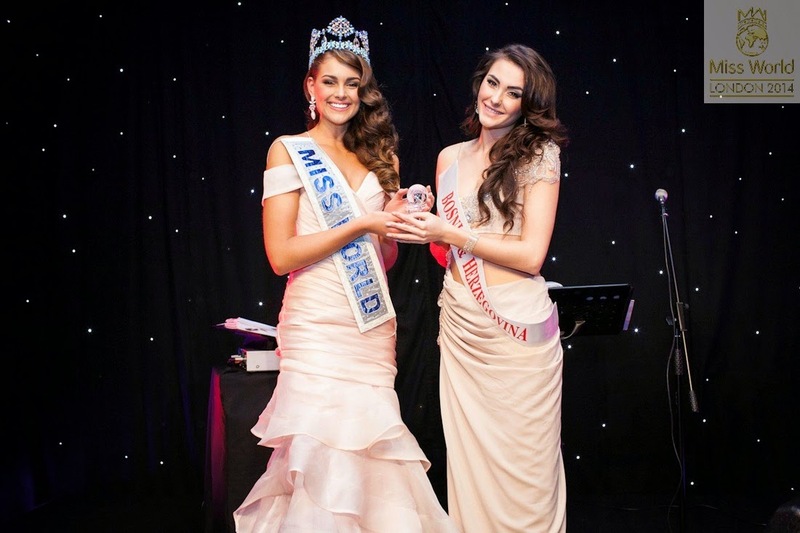 2014 seemed to be the year when Bosnia and Herzegovina would finally make a breakthrough at Miss World. Well, they did... sort of. Bosnia and Herzegovina is one of those countries who rarely gets noticed at Miss World... or any other pageant for that matter. Their judges always tend to favor girls who will not be competitive in international pageants. This year they picked 19 year old Isidora and I must admit, I thought she would be just another face in the crowd... but she proved me so wrong. In fact, she was one of THE faces of the pageant. She stood out for all the right reasons. When she made the Top Model semi-finals, I was excited that the judges were noticing her and she kept on impressing with her facial beauty and modelesque qualities. The things is just that Miss World is so much more than that. You need to be someone who exudes warmth and charisma and I missed that warmth in her. Eastern European beauties usually struggle with that. However, I was totally shocked and surprised when it was announced during the live final that she was Miss World Top Model... and I was happy - it's always nice to see a breakthrough. But shortly after that came another shock. She was excluded from the top 25 and became the first winner of Miss World's Top Model contest that failed to advance to the semi-finals. She must have really bombed the interview section, because I know she (at least) had a BWAP project. Anyway, she still did her country proud by winning Miss World Top Model. Let's hope they build on this. I don't know why she did not make the top 25! She was robbed. France who was top in interview did not make it either yet Ghana, who had been on no one's radar and who was only a 2nd RU in her national pageant did. It doesn't make sense.at all.